I was having devotions yesterday and it was talking about God's loving kindness, mercy and grace. When we consider or think about God and how He is so willing to love us and take us under His wing, it should be encouraging to us and in turn draw us closer to Him. The verses above were the words of David. He was confident and trusting of God and knew that God was protecting and guiding him with an abundance of love that only God can have. 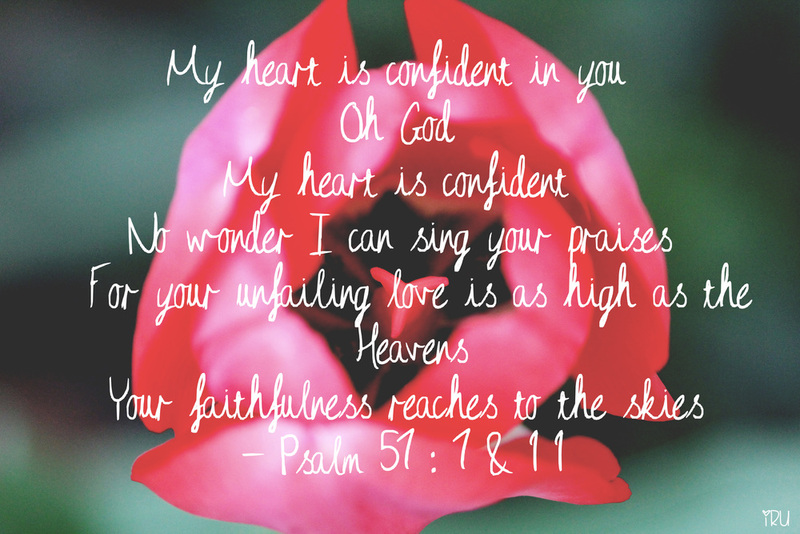 He also praises God and says that His unfailing love is as high as the heavens & His faithfulness reaches to the skies. Um, that's pretty high you guys! I chose this verse because this is something I definitely need to keep in the front of my mind and deep in my heart this week. Instead of me trying to figure it out all on my own it's Him that I need to be going to. I need to confide in Him more and trust in Him more because he is ever so faithful. I must have faith in Him to guide me down the path He's chosen for me and that He'll do so, lovingly, throughout my entire journey. I pray that this week, this verse can be a blessing to you just as it has been to me.